CHOCTAW, Miss. — The Sixth Annual Indian Child Welfare Act Conference was held on August 10 at the Silver Star Convention Center in Choctaw, Mississippi. Tribal leaders and more than 150 attorneys, judges, social workers and other professionals who work with Native American children in a Youth Court setting were in attendance. The opening ceremony included the National Anthem sung in the Choctaw language. Chief Phyllis J. Anderson of the Mississippi Band of Choctaw Indians and Mississippi Department of Child Protection Services Commissioner, Dr. David Chandler, spoke before retired Judge William A. Thorne Jr. of the Utah Court of Appeals gave the keynote address. Judge Thorne also discussed ethics and the basics of the Indian Child Welfare Act (ICWA). Following lunch, a Native American tribal perspective on raising children was the topic of the next presentation by Harold “Doc” Comby, Deputy Director of Internal Operations and Law Enforcement for the Mississippi Band of Choctaw Indians, and attorney Drew Taylor, Tribal Prosecutor for Child Welfare. Tribal Director of Court Services, Don Mittan, and Special Assistant U.S. Attorney, Kevin Payne, then addressed the topic of child endangerment. A panel discussion followed about how ICWA cases proceed in court, which included Tanya Phillips of the Tribal Attorney General’s Office, Child Welfare Supervisor, Albert Smith, of the Choctaw Tribe and Iris Joiner, Region IV-N Director of the Mississippi Department of Child Protection Services. ICWA is a 1978 law which sets federal requirements which apply to state child custody proceedings involving any Native American child who is a member of or eligible for membership in a federally recognized tribe. ICWA gives the child’s tribe and family the opportunity to be involved in decisions affecting services for the child. ICWA sets out federal requirements regarding removal and placement of Native American children in foster or adoptive homes and allows the child’s tribe to intervene. The annual conference began six years ago as an effort to educate state judges and social workers on the requirements of the Indian Child Welfare Act. About 3,500 of the approximately 10,000 members of the Mississippi Band of Choctaw Indians live in communities outside reservations, said Chief Justice Kevin Briscoe of the Mississippi Band of Choctaw Indians Supreme Court. Judge Thorne, a Pomo/Coast Miwok Indian, is former president and current vice-president of the National Indian Justice Center, a nonprofit that trains tribal courts and others across the country. He retired in 2013 from the Utah Court of Appeals. He served for more than 34 years as a tribal court judge in Utah, Idaho, Montana, New Mexico, Colorado, Arizona, Wisconsin, South Dakota, Nevada, California, Nebraska and Michigan. He is a former member of the Board of Directors for National CASA, Court Appointed Special Advocates. He was formerly a member of the PEW Commission on Foster Care, the Board of Directors for the Evan B. Donaldson Adoption Institute, the Board of Trustees for the National Council of Juvenile and Family Court Judges and the ABA Steering Committee on the Unmet Legal Needs of Children. The conference was a collaborative effort among the Tribal Courts of the Mississippi Band of Choctaw Indians, the Attorney General’s Office of the Choctaw Tribe, the Children’s Bureau Capacity Building Center for Tribes, the Mississippi Administrative Office of Courts, the Mississippi Judicial College, the Mississippi Department of Child Protection Services, the National Council of Juvenile and Family Court Judges, and state Youth Court judges and referees. HATTIESBURG, Miss. 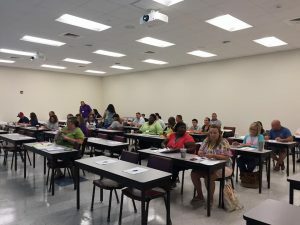 — The Mississippi Department of Child Protection Services partnered with Mississippi Children’s Home Services, Southern Christian Services for Children and Youth, the Mississippi Community Education Center, and 200 Million Flowers to host a foster parent training at William Carey University in Hattiesburg during the last weekend of July. Mississippi Supreme Court Justice Dawn Beam of Sumrall, who chairs the Mississippi Commission on Children’s Justice, brought the organizations together to help address the need for foster homes in Mississippi. At the time “Rescue 100” was announced, there were 802 children in foster care in Region 6, with only 302 foster homes, 150 of which were only licensed for relatives. In just three short days, 76 families accomplished what would have otherwise taken months by completing the in- depth training required prior to becoming licensed to care for children involved in the child welfare system. Rescue 100 was a great success, and this event has encouraged the agency and its partners to continue with this model of training throughout the state, with the next event scheduled for the weekend of October 21-23 in the Jackson Metro area. If you are interested in learning more about becoming a foster parent, please contact the Mississippi Department of Child Protection Services at 1.800.821.9157 or online at mdcps.ms.gov. 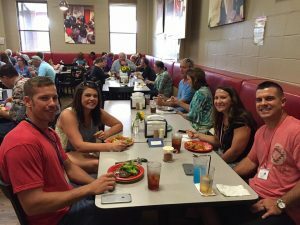 HATTIESBURG, MS (Mississippi News Now) – A weekend of intense training for new foster parents is scheduled for July 29-31 at William Carey University in Hattiesburg. The goal of the program, called Rescue 100, is to provide 100 more licensed foster homes to meet the needs of abused and neglected children in the Pine Belt area. 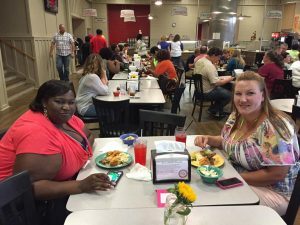 Organizers hope to train 200 foster parents in Forrest, Lamar, Marion, Pearl River and Perry counties. Four orientations are scheduled at county courthouses. Anyone interested in attending the weekend training must first attend an orientation. People may register here. Justice Beam, chair of the Mississippi Commission on Children’s Justice, is spearheading organization of Rescue 100 programs to train foster parents. A date for the central Mississippi program will be announced soon. More than 20 families are on the waiting list. Rescue 100 is a collaborative effort of the Mississippi Department of Child Protection Services, the Mississippi Commission on Children’s Justice and adoption agencies including; 200 Million Flowers, Mississippi Children’s Home Services and Southern Christian Services for Children and Youth. Area churches are invited to join the effort. “This is Child Protection Services, the courts and the faith-based community all coming together to meet the needs of our children,” Justice Beam said. HATTIESBURG, Miss. — A weekend of intense training for new foster parents is scheduled for July 29-31 at William Carey University in Hattiesburg. The goal of “Rescue 100” is to provide 100 more licensed foster homes in order to meet the needs of abused and neglected children in the Pine Belt area. This area has the second greatest need for non-relative foster homes, surpassed only by the Coast, said Susie Q. Evans, Olivia Y. Settlement Coordinator for the Mississippi Department of Child Protection Services. As of May 31, children in foster care by county included: 188 in Forrest County, 44 in Lamar County, 217 in Marion County, 238 in Pearl River County, 38 in Perry County, and 116 in Stone County. 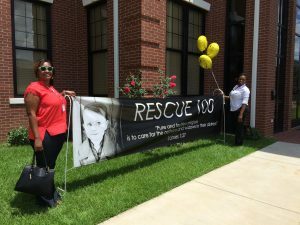 Rescue 100 is a collaborative effort of the Mississippi Department of Child Protection Services, the Mississippi Commission on Children’s Justice, and adoption agencies including 200 Million Flowers, the Mississippi Children’s Home Society, and Southern Christian Services for Children and Youth. Area churches are also invited to join the effort. “This is Child Protection Services, the courts and the faith-based community all coming together to meet the needs of our children,” said Mississippi Supreme Court Justice Dawn Beam of Sumrall. 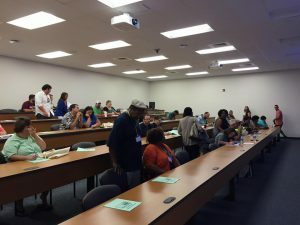 Organizers are planning to train 200 foster parents in Forrest, Lamar, Marion, Pearl River and Perry counties with eighty-one people already registered to participate. Four orientations are scheduled at county courthouses across the region. Anyone interested in attending the weekend training must first attend an orientation. You can register at www.200millionflowers.org/rescue100. The orientation will be held between 6 p.m. and 7 p.m. and are scheduled as follows: July 18 at the Marion County Chancery Court in Columbia; July 19 at the Pearl River County Courthouse in Picayune; July 20 at the Lamar County Courthouse in Purvis; and July 21 at the Forrest County Chancery Court in Hattiesburg. 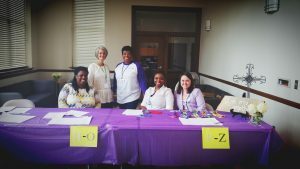 Justice Beam, who serves as the chair of the Mississippi Commission on Children’s Justice, is spearheading the organization of the Rescue 100 programs and agrees there is a shortage of foster homes throughout the state. “We have children that need to be placed in foster care, and there is nowhere to place them,” Justice Beam said. Previously, completing the licensing process took several months, with individual classes scheduled each week. 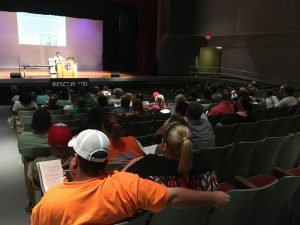 In an effort to address the need for more foster parents, Rescue 100 will pack into three days all the classes that foster parents are required to complete in order to become licensed. Child Protection Services or a private agency will then follow up with individual home visits shortly afterwards. The July 29-31 Rescue 100 program will be the second large scale training event held in recent times. 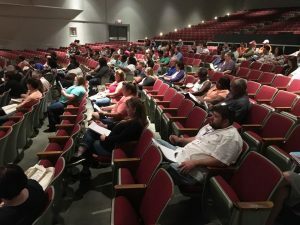 Under the leadership of Pastor Tony Karnes, sixty-five prospective foster parents completed the entire weekend of training at Michael Memorial Baptist Church in Gulfport this past April. About 30 foster homes are expected to be licensed in Harrison and Hancock counties as a result of the April 15-17 session. “We started in south Mississippi and we are working our way through the state,” Chandler said. A similar program will be held later this year to address the foster care needs in Hinds, Madison and Yazoo counties, he added. MDCPS Video – “I forgot” is a fatal mistake! MDCPS Video – At sleep time, don’t choose soft and cuddly; choose safe sleep. JACKSON – Both sides of court-ordered reforms for Mississippi’s scandal-ridden child welfare system said Friday they see needed improvements under way. Thursday, U.S. District Judge Tom Lee signed a second court order instructing the state to continue with specifics to comply with his 2008 mandate to clean up the system. The order gave the new state Department of Child Protective Services additional goals to accomplish and more time to reach them in hiring additional staff to spend more time with foster children and the families who care for them. Dr. David Chandler, the agency’s first director, said his staff continues to “check off boxes” of tasks to meet Lee’s order. The Mississippi Legislature approved $34 million this past legislative session to establish the new agency from departments in the old Department of Human Services and other child-service agencies. In December 2015, Gov. 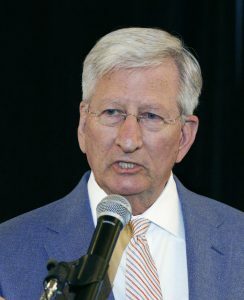 Phil Bryant appointed Chandler and elevated the post to cabinet level, stating that the welfare of the state’s children was his priority. Lee’s six-page remedial order issued Thursday sets out specific goals for the state with deadlines to achieve them, especially focusing on reducing the number of children and families each social worker is responsible for and hiring more staff. A July 15 deadline is set for determining if the state has met its obligations under the order. “We have a clear path of things the state must accomplish,” Glassman said. The state was sued in 2004 with a stipulated settlement on liability reached in 2007. The final settlement mandates a top-to-bottom rebuilding of Mississippi’s child welfare system and requires the state to meet its constitutional and statutory obligations to serve and protect the state’s abused and neglected children in state foster care.